MOSCOW (Sputnik) — On Saturday, December 5, a Soyuz-2.1b carrier rocket laden with two defense satellites was launched from the Russian Plesetsk Cosmodrome. "One of the space apparatuses of the military designation is experiencing issues. According to the preliminary data, it did not separate from the Volga upper stage. At the moment, there are discussions taking place on the removal from orbit and subsequent sinking of the Volga upper stage and the satellite in the interests of the Russian Defense Ministry," the source told RIA Novosti. Earlier in the day, the source confirmed that the other satellite was not experiencing any issues. 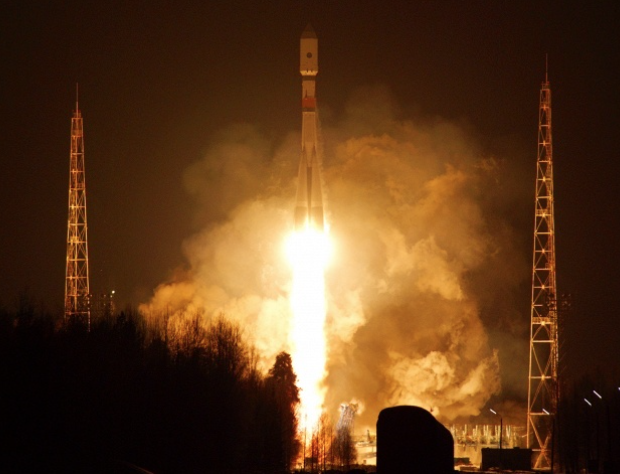 It was the second launch of Soyuz-2.1B since late December 2013. Carrier rockets of the Russian Soyuz family of expendable launch systems are the most frequently used in the world, according to the European Space Agency (ESA). Soyuz rockets are currently the only launch vehicle transporting people to the International Space Station (ISS).